Stephen Joyce, political director of the New England Regional Council of Carpenters, at a panel in Manchester. A local labor union is urging lawmakers to support legislation to combat what it says is a growing problem with workers compensation and wage theft in New Hampshire. Members of the New England Regional Council of Carpenters say companies are using a loophole to underpay workers and underreport employees, by misclassifying these employees as independent contractors. At an event organized by the union Monday, Rudolph Ogden, a deputy commissioner at the N.H. Department of Labor, told NHPR it's not just carpenters who are getting shortchanged. "For 20 years people have talked about misclassification and they said it’s all in construction and many said it’s all drywallers," he said. "Now we’re seeing that it’s not just in construction; it’s in a variety of industries." When a company pretends its employees are independent contractors, it doesn’t have to provide workers comp if they’re injured, and it doesn’t pay as much in business taxes. "We can’t compete with a company that doesn’t pay its workers and that doesn’t pay workers’ compensation," said Richard Pelletier, of Auburn, N.H. His company, Universal Drywall, was fined for misclassification for projects in Massachusetts, but he says he's since become a union contractor. 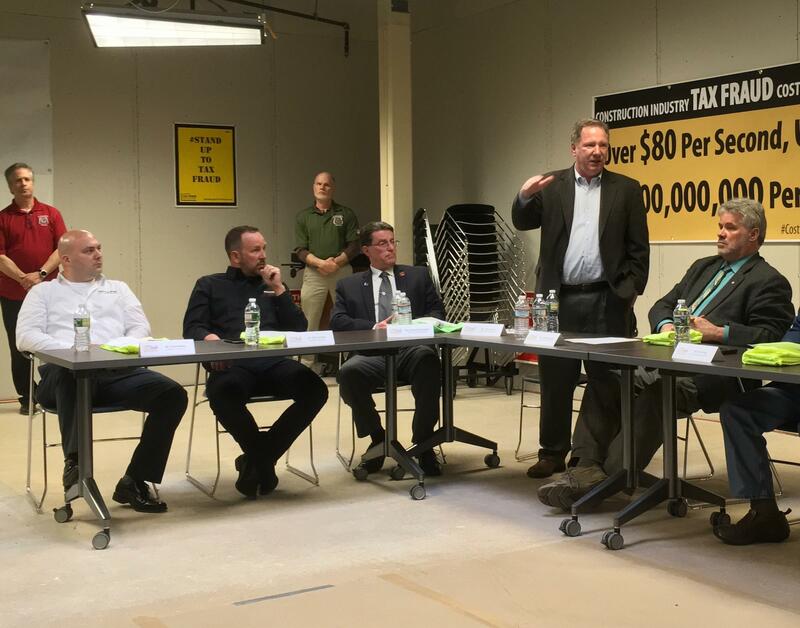 Pelletier and other representatives from union contractors said they do most of their business in Massachusetts because they're so often undercut by companies in New Hampshire that reduce overhead costs by misclassifying workers and paying many under the table in cash. The union is backing Senate Bill 151, a Democrat-sponsored bill that would make it easier for the DOL to issue stop work orders, but some in the industry fear it would slow down building projects. Southern New Hampshire University is expanding its operations to Tucson, Arizona, where it says a new center will meet the needs of students living in mountain and pacific time zones. SNHU is the largest non-profit university in the country and most of its 130,000 students take classes online. It says the Tucson center will eventually hire 350 staff to provide student support and academic advising catered to the 20,000 students living in the western U.S.